Did you know the Romans believed that dill brought good fortune? The Romans also used dill leaves in the wreaths they made to recognize athletes and heroes. Dill originated in the warm southern regions of Russia, the Mediterranean, and Western Africa. It has been used as a medicinal herb for more than 5,000 years. Dill was hung over the doorway to the house, making it a symbol of love, and acted as a protection against harm. People who believed in witches would brew a cup of tea brewed from the leaves and seeds of the dill plant to take away their evil power. Pickles have been around for centuries, yet no one knows exactly when dill was added as a flavoring. There are recipes in England that date back to the 1600s that call for dill to be added to pickled cucumbers. Dill pickles are now the most popular pickle in America. Dill has a strong flavor that enhances the taste of vegetables, meats, and seafood. Dill has been studied for its ability to help ease constipation, flatulence, headaches, and indigestion. It has helped promote milk flow in nursing mothers. 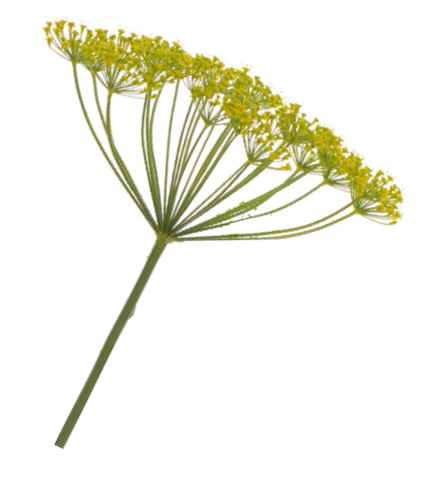 Dill when diffused with Roman chamomile, may help with restless children. Dill has also shown positive signs with pancreas support and clearing toxins. A drop on the wrists may help remove cravings for sweets.